Hurry because these discounts only last for a limited time!!! If you’re interested in transforming your home into an automated smart haven, you should be able to do so without having to pay full price. The deals run from now until any time between 8/25 to 9/3, depending on which device. 1. $15 off an Echo that'll allow you to play music, make calls, set alarms and timers, ask questions, and control smart home devices via voice command — just ask Alexa. This deal lasts until 9/3 at 9 p.m. PST. Echo can connect to apps like Amazon Music, Spotify, Pandora, NPR, and more. With multi-room music, you can play music on compatible Echo devices in different rooms. It can also play Audible audiobooks, radio stations, news briefs, etc. The speaker has Dolby processing for crisp vocals and dynamic bass response. It can fill the room with 360° omnidirectional audio. You can even adjust the treble, mid, and bass levels with your voice. With seven microphones, beamforming technology, and noise cancellation, it can hear you from any direction even while music is playing. 2. $10 off an Echo Dot — it can do pretty much everything an Echo can but is more compact and wallet-friendly. This deal lasts until 8/27 at 9 a.m. PST. The major difference between the Echo and Echo Dot is that the Echo has a more powerful speaker. 3. $10 off the Echo Dot Kids Edition designed to keep children entertained and give parents peace of mind. It can play music, answer questions, read stories, and even tell jokes. Parents can set daily time limits, review activity, or pause Alexa on the device via the Amazon Parent Dashboard. It automatically filters explicit songs from Amazon Music or Spotify. The device comes with one year of Amazon FreeTime Unlimited, a kid-friendly case, plus a two-year worry-free guarantee (meaning Amazon will replace it if it gets broken). The FreeTime Unlimited gives children access to ad-free radio stations and playlists, over 300 Audible books for kids, and games and skills from Disney, National Geographic, Nickelodeon, and more. Like the regular Echo Dot, kids can use it to control lights, plugs, switches, and more with compatible connected devices. 4. $40 off the Echo Plus with a built-in ZigBee smart home hub — you don't need to purchase a separate hub to integrate smart lightbulbs, locks, plugs, and in-wall switches. Promising review: "I love how Echo has grown. I own three Echos, one Echo Plus, and an Echo Tap. Amazon has done an amazing job growing these devices and improving the functionality. I purchased the Echo Plus because I wanted to get rid of my WINK hub. Unfortunately, there are still a few brands of plugs that don’t work with the Echo Plus unless you have a WINK hub, but all of my lights do and it’s amazing. The ability to set up Routines is great. For instance, I say 'Alexa, it’s bedtime,' and all of the lights adjust to exactly as I want the house configured for bed. It even turns on my bedroom light and fan. In the morning when I leave for work, I say 'Alexa, have a good day,' and all of the lights go off in the house until sunset, then it all starts again. I even have a bulb in my chicken coop that I can turn on and off from the inside the house, just by asking Alexa to do it. I would definitely recommend Echo Plus." —Kevin M.
5. $100 off the Echo Show so you can not only hear but also see the weather report, your to-do/shopping list, recipes, and lyrics. Plus, you can video chat with family members, monitor security cameras, and watch news clips. The Drop-In feature (all Echo devices have this) lets you connect instantly with other compatible Echo devices in your home (or others who also have Echo devices). For example, you can drop in to ask what time dinner will be ready, see the baby's nursery, or check in with a relative. You can also use Echo Show to broadcast a quick, one-way message to all other Echo devices in your home via Alexa Announcements. 6. Up to $40 off the Fire Tablet Kids Edition for providing your kiddos with plenty of fun and educational books, apps, and shows. Get $40 off the Fire HD 10 Kids Edition, $30 off the Fire HD 8 Kids Edition, and $20 off the Fire 7 Kids Edition. These deals last until 8/25 at 9 p.m. PST. Similar to the Echo Dot Kids Edition, all the Fire Tablets Kids Editions come with one year of Amazon FreeTime Unlimited, a kid-friendly case, plus a two-year worry-free guarantee. 7. 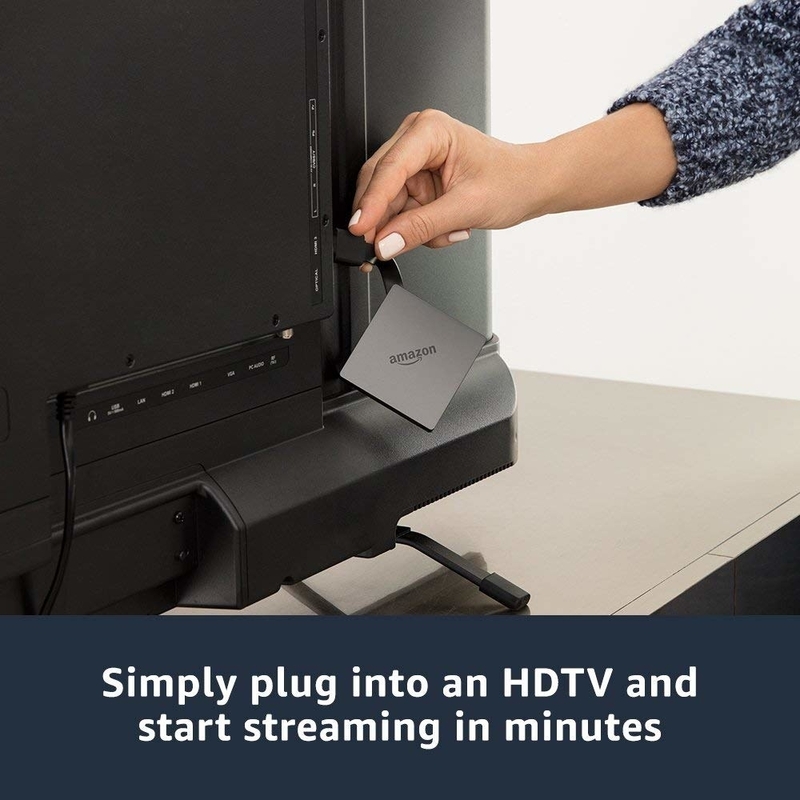 $30 off the Fire TV with 4K Ultra HD to watch movies and shows via all the popular streaming apps (including Netflix, Prime Video, Hulu, HBO, NBC, etc.) from your big-screen TV. No cable required. This deal lasts until 8/25 at 9 p.m. PST. 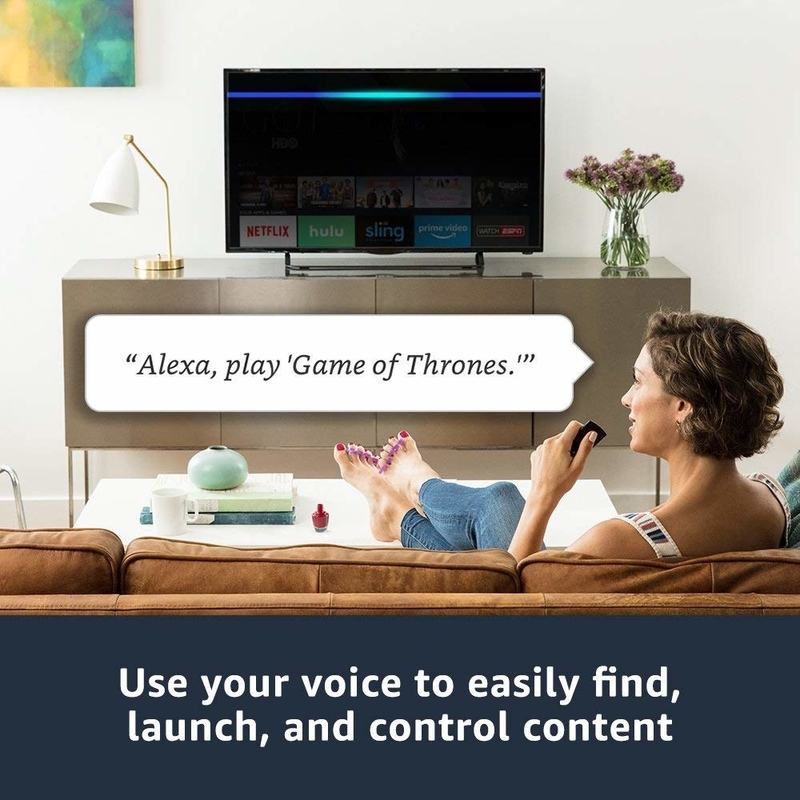 You can also connect it with an Echo device and use Alexa to find and control content, play music, check movie showtimes, order a pizza — hands-free. 8. $30 off the Fire TV Cube — a bigger and badder version of the regular Fire TV with a built-in speaker that'll process voice commands without the help of an Echo device. It is also the only Fire TV product that comes with an ethernet adapter. Want more? Check out ALL the deals on Amazon devices!